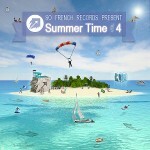 After the success of the previous ‘Summer Time Compilation’ , team « So French Records » launches the 4th volume to celebrate by the most beautiful way this summer which promises to be hot & rich in musical colors! After a massive remix competition we are proud to introduce you the latest So French Release! 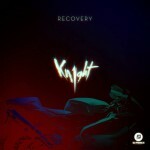 Recovery Remixes Ep, a brand new fresh ep gathering 4 hot remixes from So French artists as Atrey, 1906, Butyreux and Mac Stanton, a special Kn1ght edit is on too, and 8 massive remixes from the track competition winners which are Hextane, Ivan Storm, D Haney, I Want Un Smoothie, MisterMo, Thunberg , MFTWC, Dr.GoFast. 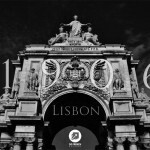 To Celebrate the 4000 followers on our Soundcloud, So French Team decided to launch an exclusive project called « Lisbon » , produced by « 1906 » , a music band composed of one talented artist « Filipe » based in Lisbon, Portugal. The whole project composed of 2 ep and a special bonus remix by « Mac Stanton » will be for Free download and Exclusive on « Earmilk » blog!